Invoking that name — that mighty American Top 40 baritone — already carbon-dates this conversation. The setting: a college campus in a bygone era, when FM radio hosts could be mentioned in casual conversation, an epoch before Google crawled the earth. “It’s extreeeemely raaaare,” continued my collegiate companion, elongating the vowels with pronounced superiority. I had no idea what he was talking about. It sounded like a jumble of random syllables, the sputtering noise that my cranky Oldsmobile Cutlass made when trying to start on winter mornings. Casey Kasem, “American Top 40"
When it was over, I pressed rewind. Then play. Rewind again. And play again. Then I immediately made three cassette copies. I wanted a fourth, but decided not to dub over my copy of Van Halen II. “Extremely rare” — that phrase sounds so peculiar today. That sonic obscurity has been heard 2.3 million times. Over 26 million have devoured this esoteric Axl-less morsel. More? Nearly 5 million people have heard Bob Marley opine “No Woman No Cry” (“version rare”), while a bit of conspiratorial Area 51 footage (“RARE,” of course) has racked up 1.5 million views. And some Woody Allen standup from 1965 (excitedly: “RARE!”) has garnered a half-million views, while double that number have endured a Marlon Brando screentest (prosaically: “Rare”). “Rare” is such an quizzical descriptor, a blatant contradiction of the very nature of digital culture. Rarity describes a state of scarcity, and as we enter a proto-post-scarcity economy, digital stuff defies such shortages. Things are no longer rare; they are either popular or unpopular. Rarity itself has become very rare. As Casey Kasem would say, let’s pause for station identification. If you were a teenager between 1970 and 1995, you likely heard American Top 40 on FM radio on weekend afternoons. 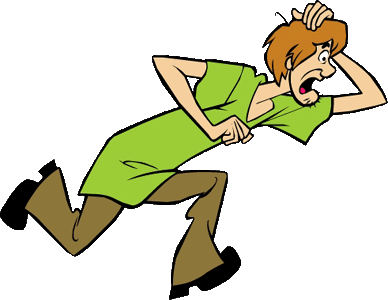 Many Americans share this memory, but we sometimes forget that Casey Kasem’s voice was also there for us after school, as the voice of Shaggy on Scooby-Doo. On the weekends, he was counting ‘em down, but during the week he was solving crimes for scooby snacks. A story for the millennials in the room: Once upon a time, owning a rare media object was sorta cool. But some people used these objects to project their cultural superiority, which was pretty lame. That last one applies to the story at hand. U2's label, Island Records, immediately filed for copyright infringement. (The mashup also contains an extended eponymous sample of U2's song — and that album cover probably didn’t help their case). A federal judge issued a restraining order, forcing the band to pay restitution and track down all copies of the song. That tactic worked, briefly. 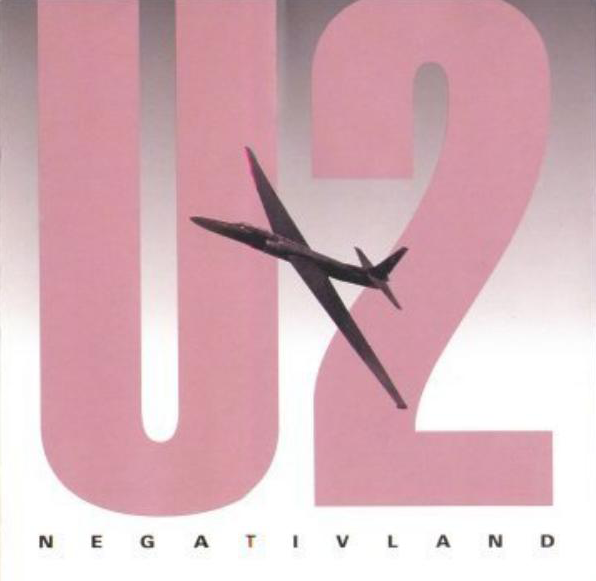 But today, if you search for Negativland on YouTube, that song is by far the most popular result. A classic example of the Streisand Effect, trying to hide the song — attempting to force it into a state of rarity — only made it more popular. The economics of popularity can be gamed, but scarcity is a devil’s trade. No conversation about rarity can overlook everyone’s favorite obscurantist, Comic Book Guy, the character from The Simpsons who, like my college friend with the cassette tape, proudly spewed his inscrutable cultural knowledge. 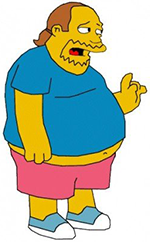 Comic Book Guy was a fantastic character — the quintessential ’90s arch douche, the know-it-all aesthete. The archetype was also a grim reality: Everyone knew a Comic Book Guy, or, more likely, several Comic Books Guys. Today, I don’t know any Comic Book Guys. That type of overblown pretentiousness is now usually laughed out of the room. Because all media — all text, all audio, all video — is so wildly abundant, “knowing first” has become effortless. The skill (and hubris) of being media cool has completely dissipated. is now a synonym for unpopular. And no one wants to be unpopular. But the Comic Book Guy of today doesn’t need cultural objects to advertise his superiority. 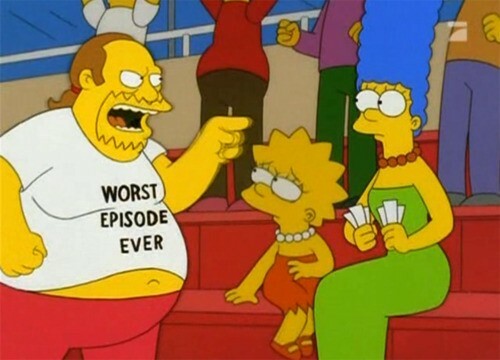 The skill of today’s Comic Book Guy is knowing what to say about things. Bart: Wow! 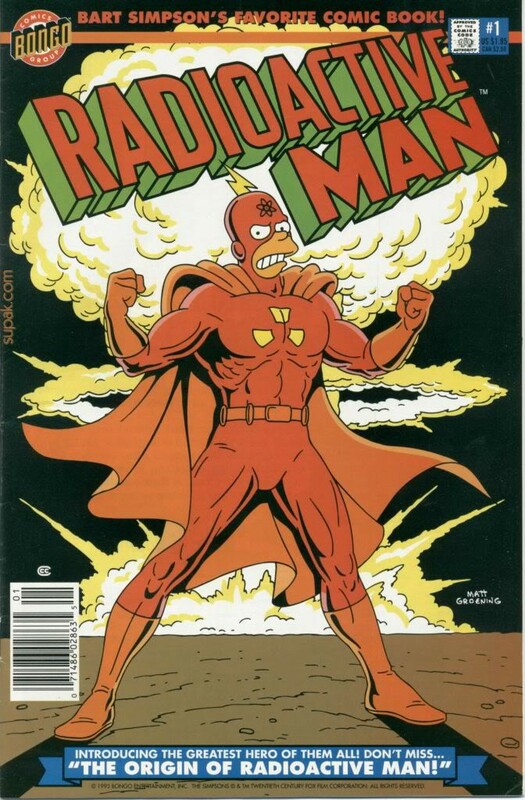 Radioactive Man number one. Comic Book Guy: None other. Bart: I bet it’s worth a million bucks. Comic Book Guy: It is my lad, but I will let you have it for a hundred because you remind me of me. Bart: Aw, all I got is thirty. Comic Book Guy: Then you cannot have. Bart: But I must. Until this moment I never knew why God put me on this earth, but now I know, to buy that comic book. Comic Book Guy: Your emotion is out of place here, son. That’s early Comic Book Guy — the supreme artifact collector. Bart: What? They’re giving you thousands of hours of entertainment for free. What could they possibly owe you? I mean, if anything, you owe them. From snobby obscurist to pretentious scold, from rarity to reaction. As Comic Book Guy shows, you no longer have to be “in the know.” You just have to know what to say. Here’s a test: Try to think of a modern media object that is truly rare. It’s not easy. If the Ark of the Covenant were discovered tomorrow, it would leap from mythical to pervasive in a second, never having known what it was to be rare. And that brings us, finally, to the Wu-Tang Clan. 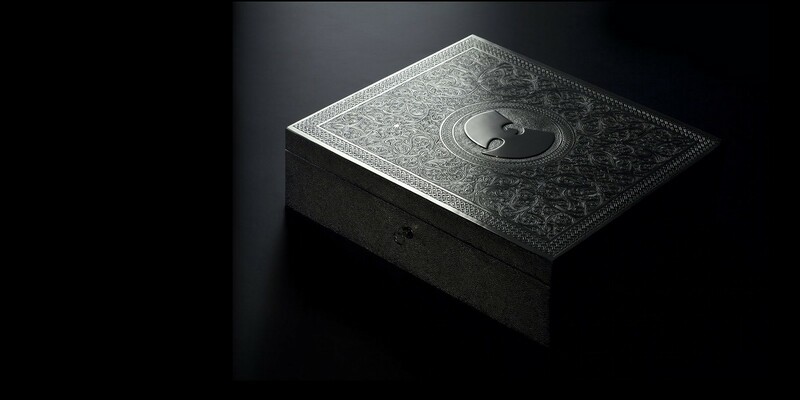 A few months ago, Wu-Tang announced that they would produce exactly one copy of their new album, Once Upon a Time In Shaolin, and that single copy would be sold to the highest bidder. Already priced at several million dollars, the album, which is encased in a handmade silver and nickel box, is an experiment with one desired outcome: To create scarcity in a time of media abundance. It is geniusly ridiculous. Its brilliance lies in its utter fallibility. It exists to be defied. Has it leaked? Not yet. But will it leak? Of course it will leak. The term “leak” itself already insinuates a scarcity that will be broken. But for now, it is rare. Thanks to Robin Sloan, Craig Mod, Clive Thompson, Kate Lee, Joanne McNeil, and Anil Dash.